Pilot Medical Solutions has helped pilots from every major airline and corporation in existence. NBAA members are entitled to preferred rates for services available only from Pilot Medical Solutions. Pilot Medical Solutions provides personal consultations by phone or through our website consultation system. This permits you to discuss any FAA medical issues and is completely confidential. You may use the form below or, if you prefer, contact us by phone at 800-699-4457. There is no charge for an initial consultation. Traditionally flight departments and airline unions have relied upon FAA medical exams to discover potentially grounding health issues. Since jeopardizing issues were not discovered prior to an FAA exam, FAA medical certification was usually a labor-intensive, lengthy bureaucratic process. Even the simplest of issues used to ground a pilot, increasing operational and healthcare expenditures. In 1995 Pilot Medical Solutions changed the aeromedical paradigm with Proactive Aeromedical Management which features preventive pre-certification screening. This approach affords a confidential FAA medical certification forecast which establishes a pilots’ eligibility before their official FAA exam. With Proactive Aeromedical Management, it is possible to anticipate and prevent unnecessary grounding. Unfortunately, thousands of pilots still lose their FAA medical certification each year because they did not obtain readily available confidential advice. Several thousand others are grounded because incomplete or incorrect information was sent to the FAA by their Aviation Medical Examiner. FAA statistics indicate nearly 50% of the applications for FAA medical certificates contained incomplete or erroneous information. Aeromedical management is pragmatic aeromedical support which promotes safety and keeps pilots flying. Don’t leave your flying career to chance! “Just as rehearsals are good for show business, they also can be valuable in the medical certification process. Pilot Medical Solutions offers comprehensive medical management services to meet the unique needs of businesses with pilot employees. Preventing the temporary or permanent loss of pilot personnel by confidentially monitoring aviation specific health parameters. Providing direct FAA intermediation to assure timely and accurate resolution of medical certification problems. Providing the highest level of aeromedical services by assisting pilots, private physicians, and management. Functioning as a confidential aeromedical manager, assuring aviation sensitive medical care. Demonstrating the company commitment to valuable pilot employees by providing career protection services. have medical conditions being followed by the FAA. 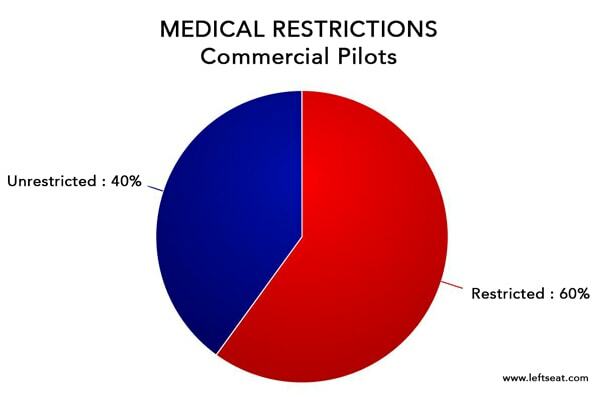 A pilots’ livelihood is inextricably linked to health via FAA medical certification which virtually mandates pilots maintain healthy lifestyles. Lifestyle alterations in airline and corporate pilots reduce personal risks, the likelihood of medical grounding, and corporate healthcare costs. The scheduling constraints of airline and corporate pilots present unique challenges, yet even minimal lifestyle changes often yield significant health benefits. We provide expeditious resolution of complex issues for flight departments and professional pilots. Pilot Medical Solutions is the most proactive and reliable aeromedical information resource. Thousands of pilots each year return to flying with the assistance of Pilot Medical Solutions. Managing cases covering every imaginable aeromedical issue, our staff has the highest experience and is uniquely qualified to deliver timely results. This proficiency enables us to provide the greatest level of service available. Confidential proactive support and accelerated medical certification are the fundamentals of our service. This is whyPilot Medical Solutions is considered an essential and renowned resource in aviation circles. Pilot Medical Solutions’ profound growth is driven by demand from pilots and AME’s throughout the world. Pilot Medical Solutions’ Proactive Aeromedical Management delivers healthy outcomes and a valuable employee benefit at net-zero cost. “I unequivocally recommend Pilot Medical Solutions to the business aviation community and especially to NBAA Members. As a commercial, type-rated pilot who underwent major surgery recently, I had my medical back within a few weeks of my renewal application due exclusively to the efforts of Pilot Medical Solutions. – Joe Ponte, NBAA Vice President of Membership, Marketing and Regional Programs (retired). Don’t leave pilot health to chance. Secure the ability to identify and solve aeromedical problems before they surface.